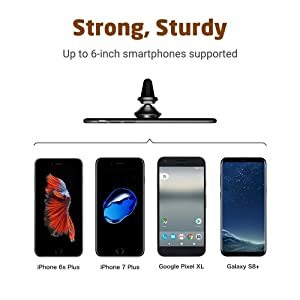 Up to 6-inch smartphone supported, including iPhone XS Max/XS/X/XR, iPhone 8 Plus/8; Samsung Galaxy S10+/S10/S10e, Note9/Note 8; Google Pixel 3 XL/Pixel 3; Huawei P30 Pro/P30, Mate 20 Pro/20 and others. 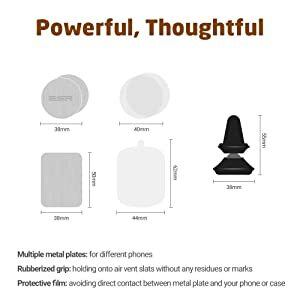 Universal Car Mount with strong magnets ensure your phone stays on the mount safely, up to 6-inch Smartphones supported. Built-in rotatable swivel ball for optimal viewing angles. Premium aluminum-alloy shell prevents scratches. 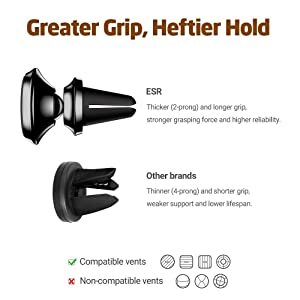 ESR Car Mount Phone Holder provides thicker (2-prong) and longer grip for stronger grasping force and higher reliability. 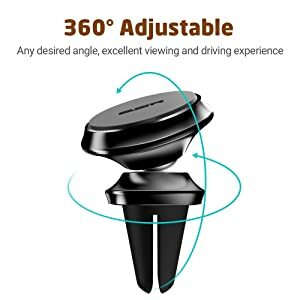 Any desired angle for excellent viewing and driving experience. ESR, a global consumer electronics accessory company, continuously creates the most innovative, colorful and fashionable digital products for every consumer with reliable and premium quality. Remark: This product is not compatible with wireless charging. Very happy, quality piece. Had it for 8 months and by far the best of others we tried for other cars in the family. It sticks out a little further and that makes all the difference. I had to get a new phone today and now just need a few more magnetic circles for my new phone. Hope I can get some from them. Easy to use and works with most cases already on the market. The fit can be different based on the air vents in your car. Luckily my car is perfect since it has the standard slotted vents. Shipped quick, well made and works great. It works great! 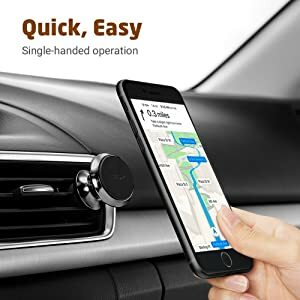 Fast delivery too!I had the cup holder phone mount but I like this much better. 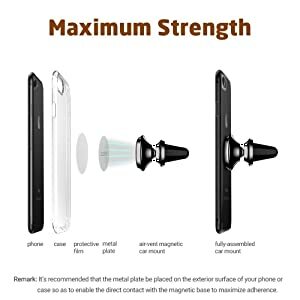 It seems to fit snug in car air vent and magnetically hold cell phone with plenty of strength. I’m going to like it. I have purchased three of these now. 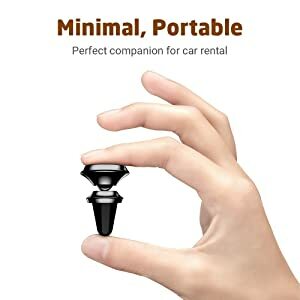 Very sturdy, nicely made and simple to use. I gave two as gifts. Everyone loves them. The product working fine with iphone 7 an dthe quality seems good. did not work on my case, so I returned it.